The Polaroid name has made a re-entrance into the market at CES this year with a number of different products, some more conventional than others. First up, a family of superzoom bridge cameras will be emerging in Spring 2014 under the Polaroid name. The range of 5 models includes 50x, 40x, 35x, 30x and 15x optical zooms, and this isn’t the only aspect of the spec that varies – the 50x version reportedly comes with 20MP of resolution, while the rest make do with 18. Similarly, all can record video in 1080p HD save for the 15x model, which gets 720p. All the cameras sport 3inch LCD screens (no mention of touchscreen functionality) and built-in Wi-fi for instant image sharing. US prices reportedly range from $149 to $299, and they should be available soon. 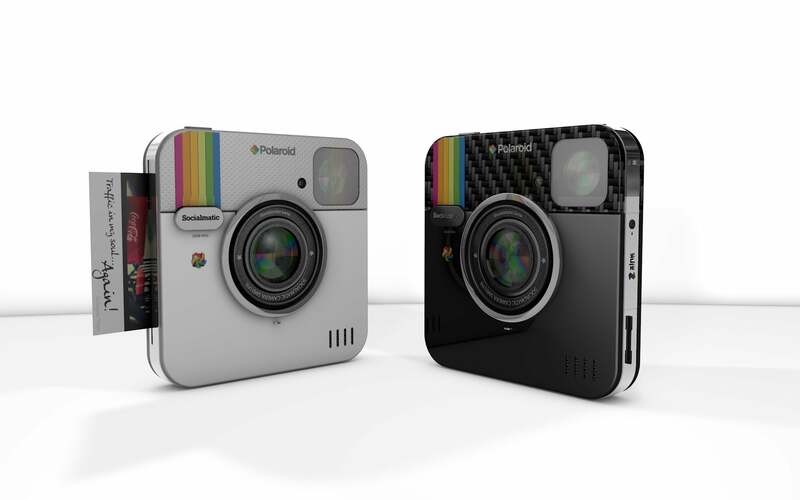 Elsewhere, Polaroid has made its ‘Socialmatic’ camera a reality, with the square camera-esque thing pictured below. It’s actually an Android-running camera blended with an instant Zero Ink printer that can spit out a 2×3 hard copy of your image, while the built-in Wi-fi shares the digital version on social networks. The Socialmatic embeds a QR code onto the prints it produces, allowing other Socialmatic users to scan it and download the digital version for themselves. There’s also 4GB of internal storage, a Micro SD card slot and a 4.5-inch touchscreen. It’s expected to set you back $299. 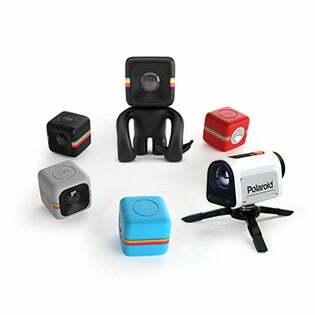 Finally, Polaroid also showed off a range of tiny sports action cameras. In a variety of different shapes and sizes, the little cameras are waterproof, shockproof, mountable and able to record HD video. The cube version in particular is already proving popular at CES – many have dubbed it the ‘cutest camera ever’. Hard to argue with.